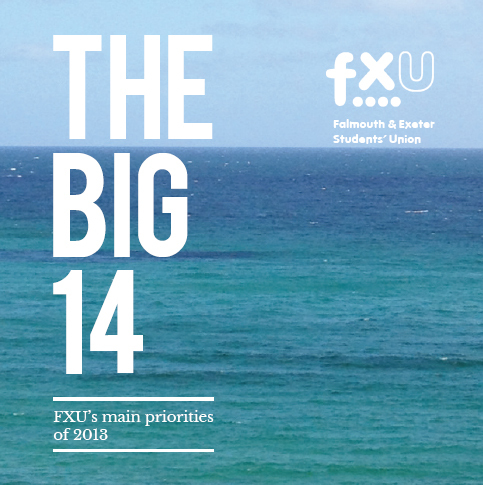 In the 2013-14 academic year, the FXU Presidents compiled a list of 14 priorities based on the results of the annual FXU Student Experience Survey. The Big 14 consisted of areas for improvement including accommodation, transport, recreational activities and social spaces. Over the course of the year, the team tackled a large number of issues. You can find out more about these wins in our Impact Report and You Said We Did animations. Download the digital version of the full document here.